Five-star cruise line Hapag-Lloyd has decided upon names for two new, state-of-the-art expedition cruise ships that are under construction by a subsidiary of the Italian Fincantieri Marine Group. The ships, being built by Norwegian company Vard Holdings, Ltd., will be named HANSEATIC nature and HANSEATIC inspiration. HANSEATIC nature will serve German-speaking markets while HANSEATIC inspiration will serve German-speaking markets as well as international markets with exhibition cruise sailings. Apart from the markets they will serve, the two small ships are identical. 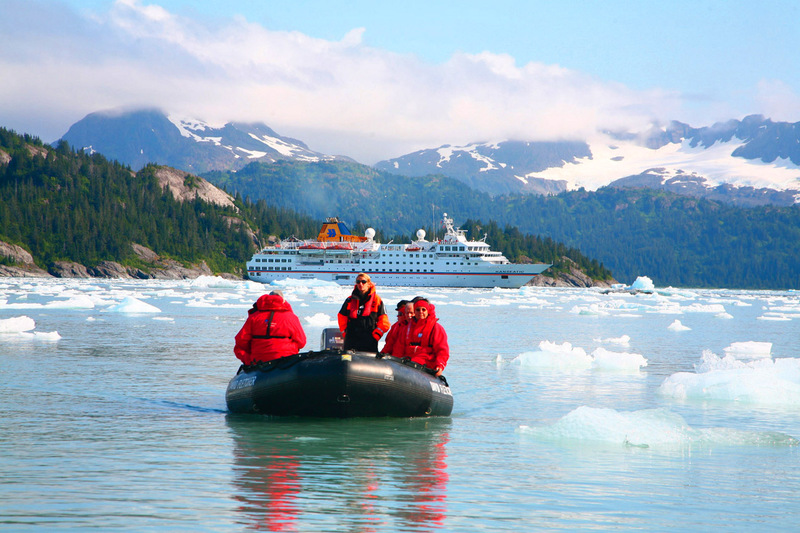 They will each accommodate up to 230 passengers on most sailings, and up to 199 passengers on Antarctic expeditions. They both have the highest ice class for passenger vessels, including equipment like infrared ice detectors that make it possible to spot ice at night as well as in misty conditions. Both ships include facets that will enhance passengers’ cruise experience and other features that will reduce their impact on the environments they visit. Their “Inspired by nature” design concept extends to the ships’ interiors and is reflected in the choice of materials, colors and forms. The contours and lines of walls and surfaces create lines of sight that result in an interplay between the interior of the ship and the world outside. On-board design highlights include the two extendable glass balconies. Passengers standing on those balconies can experience the unique feeling of floating over the ocean. The all-round deck in the upper deck bow area enables passengers to experience the action at close quarters, contributing to the expeditionary feel of the cruises, especially on journeys to the Arctic, Antarctic, or Amazon, the company said. Both ships will also have a marina for water sports, and each boasts three restaurants as well as an extensive wellness and fitness area. Environmental features include an ultra-efficient catalytic converter, an optimized hull for fuel efficiency, and a PROMAS rudder with a special propeller, all of which will contribute to increased fuel efficiency and reduced emissions. Each ship will have 16 on-board Zodiacs and E-Zodiacs with eco-friendly electric drive systems that allow for landings in remote expedition areas, regardless of the vicinity to a port. 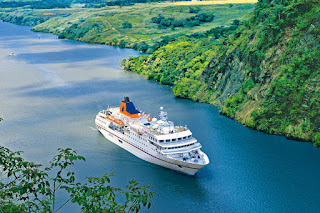 The cruise line currently operates only four ships, including two expedition vessels: the MS HANSEATIC and the MS BREMEN. 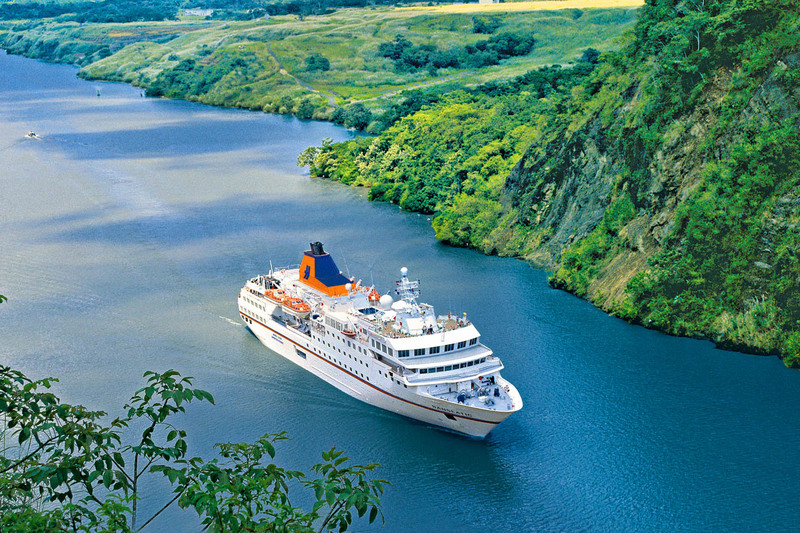 Hapag-Lloyd also operates the luxury yachts MS EUROPA and MS EUROPA 2. In addition to expedition cruises, the line offers golf cruises, gourmet cruises, music cruises, sports and wellness cruises, and a world tour cruise in 2017/2018. More information is available on the cruise line’s web site.